Professor Wüstenberg is an otorhinolaryngologist and allergologist. He studied medicine at the University of Mainz, Germany, and holds a doctoral degree in medicine. He is a Professor for human medicine at the medical faculty at Dresden University with clinical preference on middle ear and nasal surgery as well as allergology. 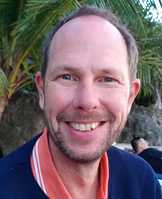 Besides his clinical career Professor Wüstenberg is Vice President for the Medical department at ALK in Germany and Global Advisor to Research and Development at ALK in Denmark. His current major research fields are allergic diseases of the upper and lower airways. He has been involved in many large clinical trials especially in designing state of the art trials leading to marketing authorisation of several new allergy immunotherapy products in Europe. Professor Wüstenberg holds several patents for optical rhinometry to document nasal provocation tests as well as in allergy immunotherapy. He is author of many peer reviewed international publications, mostly dealing with allergy immunotherapy.